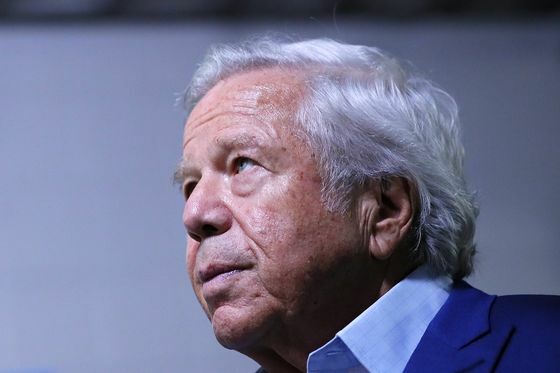 (Bloomberg) -- Prosecutors have offered to drop charges of soliciting prostitutes against New England Patriots owner Robert Kraft and other powerful men ensnared in a massage parlor investigation, provided they agree to certain conditions. The misdemeanor charges rocked Palm Beach County, a bastion of American wealth, and could have led to as long as a year in prison if the men were convicted after a trial. But the cases could now be dismissed provided the men agree to certain terms, according to Mike Edmondson, a spokesman for State Attorney Dave Aronberg. Under the proposed deal, first reported by the Wall Street Journal, the men would admit that they would have been proven guilty, agree to take a course on prostitution and perform community service. It wasn’t clear whether Kraft and other men accused will accept the offer. Kraft’s lawyers William Burck and Jack Goldberger didn’t immediately return messages seeking comment. In a tweet commenting on the original story, Palm Beach State Attorney Dave Aronberg said it’s "standard" practice to drop such charges with conditions. Kraft has pleaded not guilty to charges that he solicited prostitutes at a strip-mall day spa in southeast Florida, including once on the morning of the American Football Conference championship game between his Patriots and the Kansas City Chiefs. Prosecutors and police say they have video evidence.